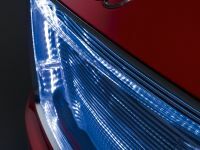 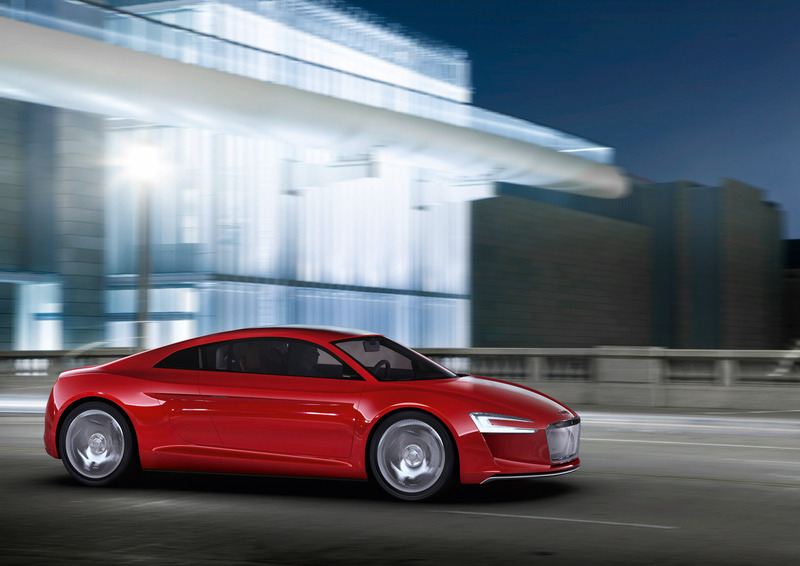 Audi brand presents its pure electric star – the e-tron at the Frankfurt Motor show. 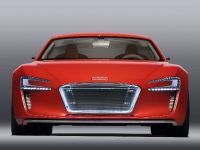 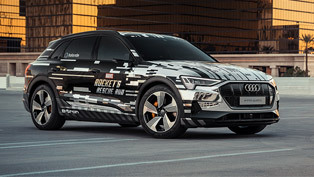 Audi e-tron is electric driven by four motors (two at the front and two at the rear wheels), which makes this particular concept a true quattro. 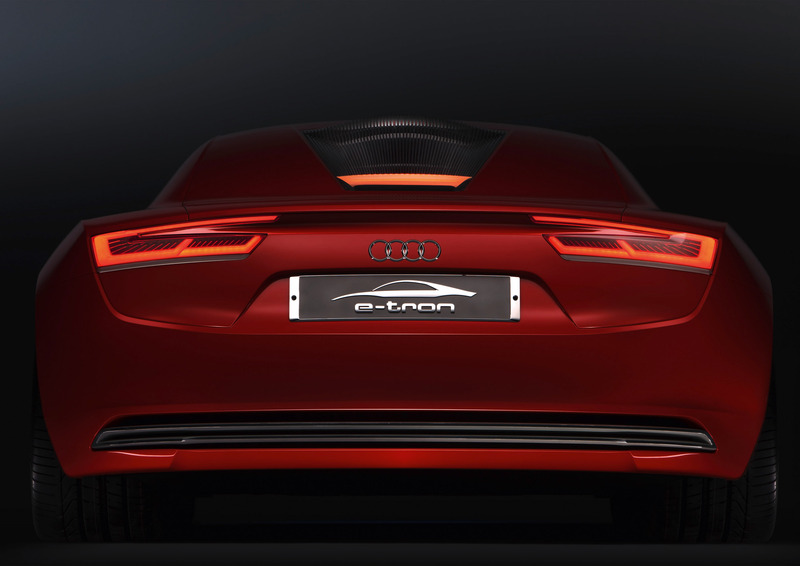 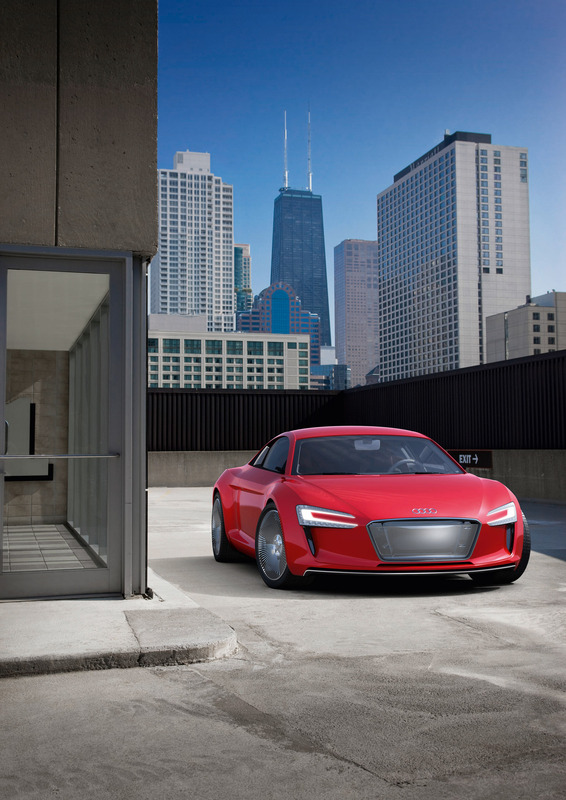 With its clean and subtle design, the e-tron no doubt belongs in the major leagues of sports cars. 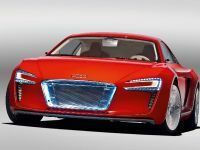 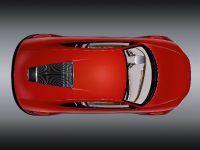 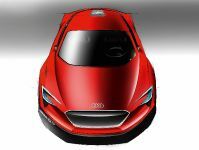 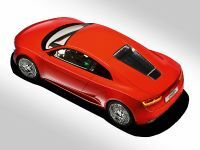 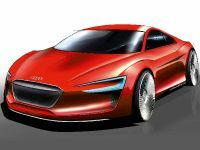 But not only the design speaks sports, the new electric driven quattro produces 230 kW (313 hp) and 4,500 Nm (3,319.03 lb-ft) of torque, the zero to 100 km/h (0 – 62mph) classic sprint lasts only 4.8 seconds. 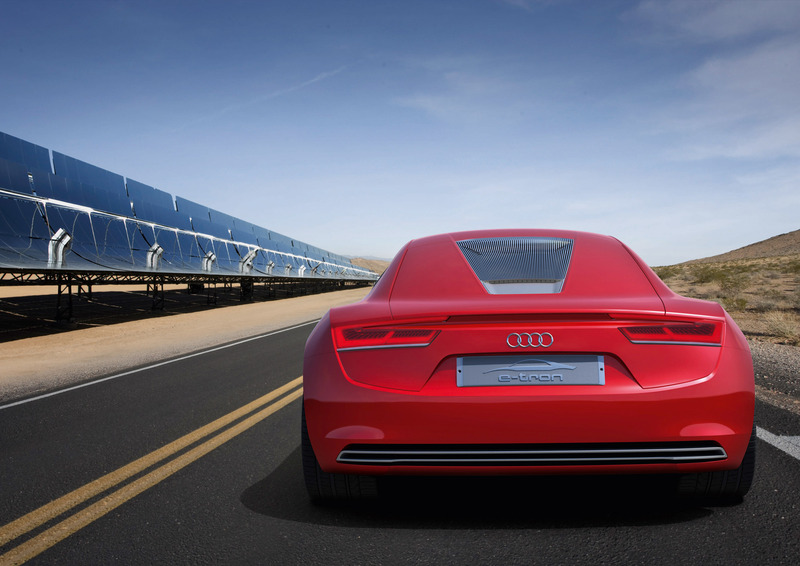 The water-cooled lithium-ion battery pack provides enough energy for a range of approximately 248 kilometers. 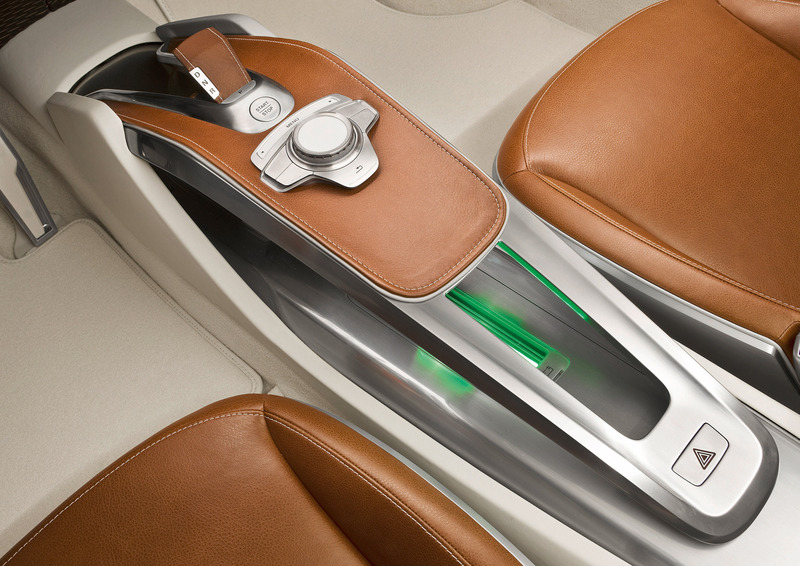 Wisely placed directly behind the passenger cabin, the battery secures an optimal center of gravity and axle load distribution. 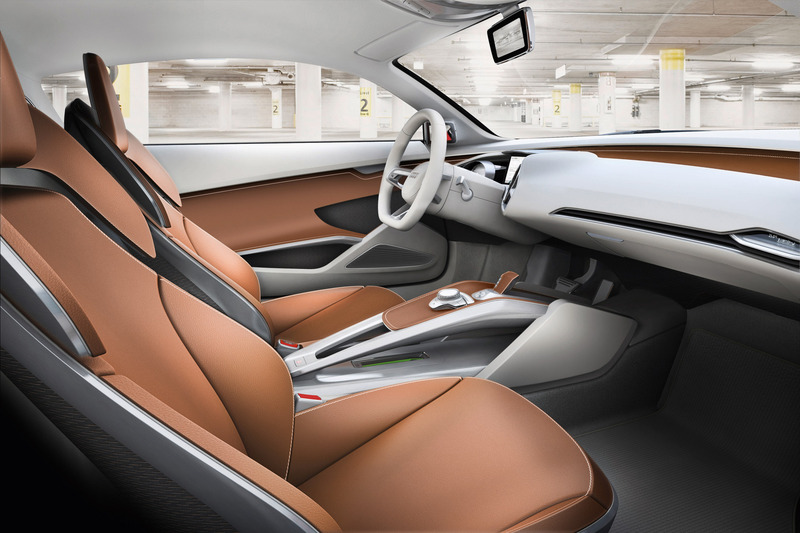 Another wise or maybe even revolutionary method is that a heat pump is used to efficiently warm up and heat the e-tron's interior. 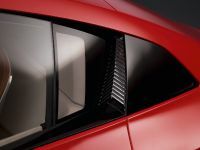 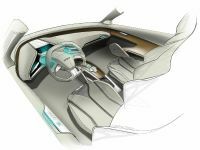 The drive system, the power electronics and the battery are controlled by an innovative thermal management system that is a crucial component for achieving the car's range without compromising its high level of interior comfort. 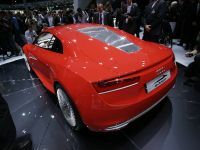 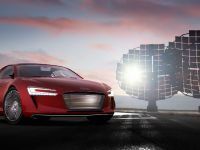 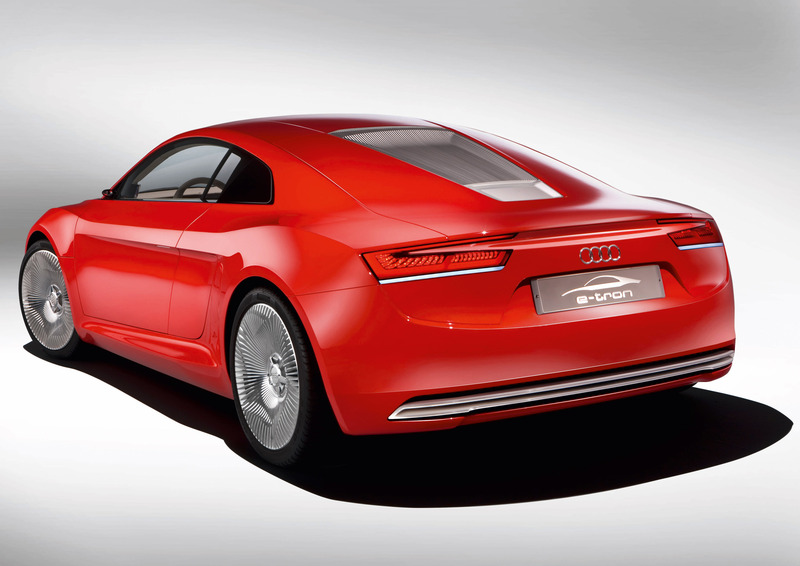 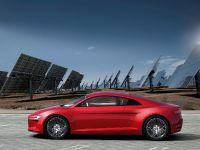 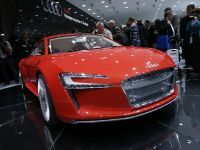 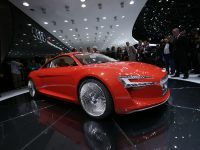 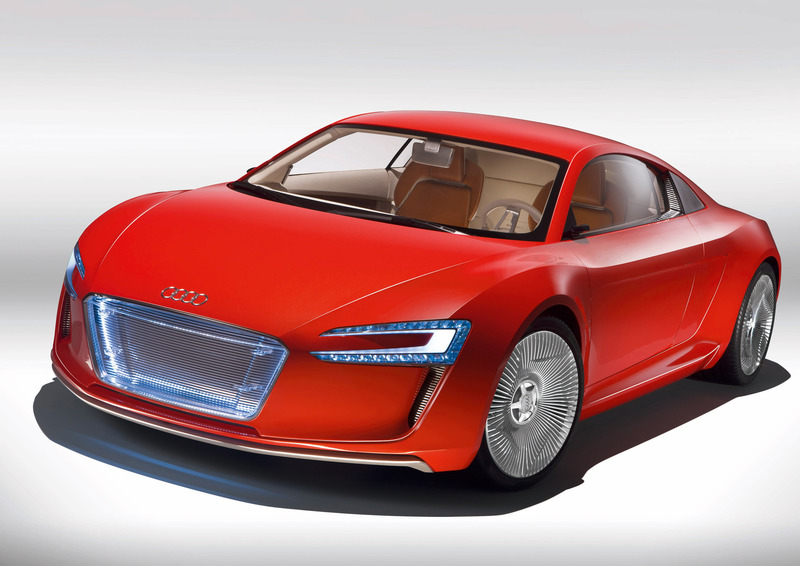 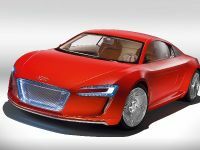 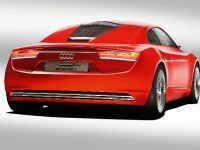 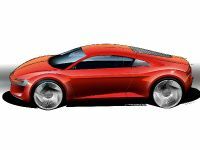 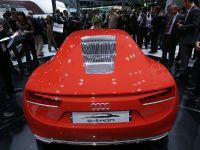 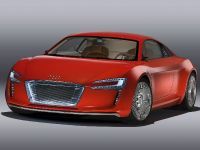 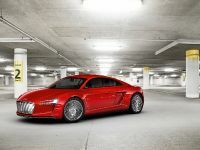 Audi presents the highlight of the IAA 2009: the e-tron, a high-performance sports car with a purely electric drive system. 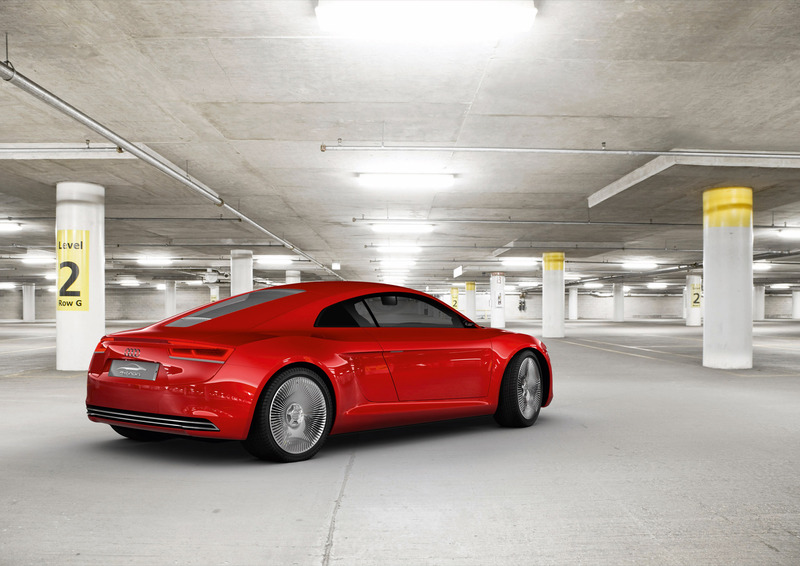 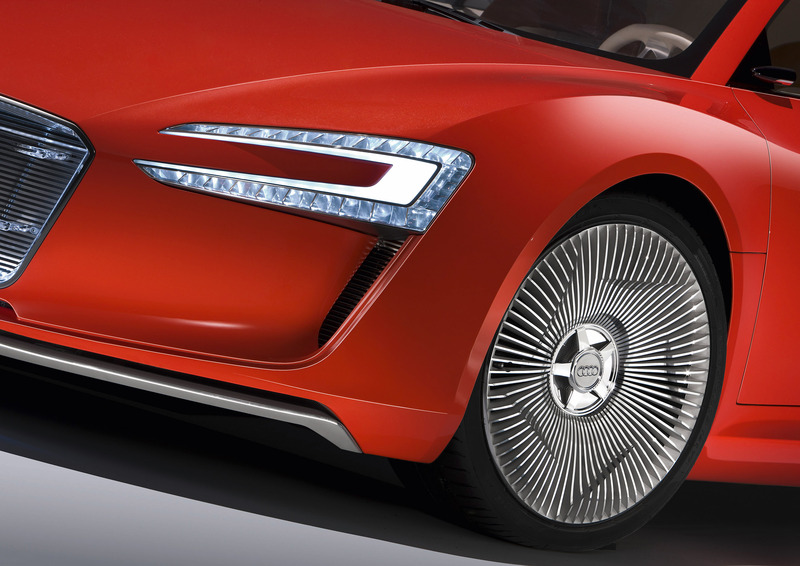 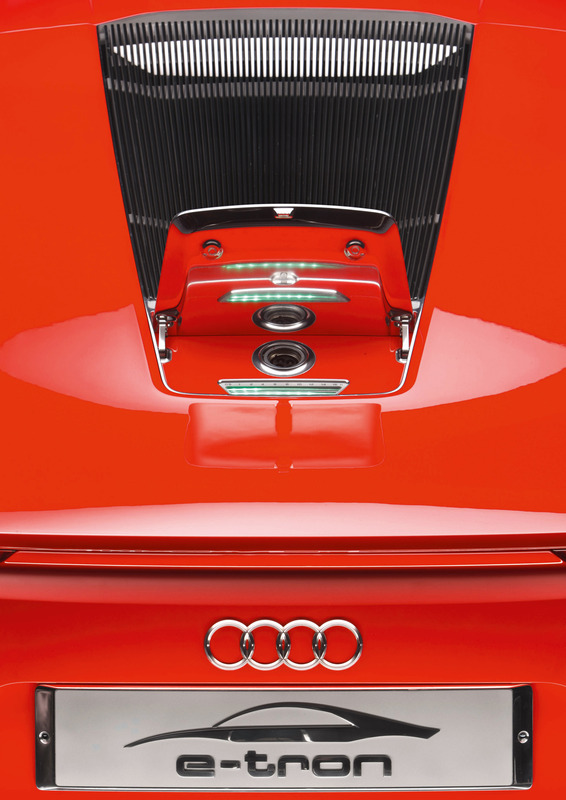 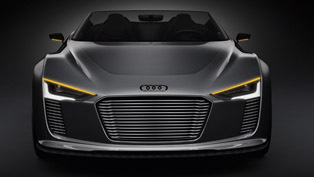 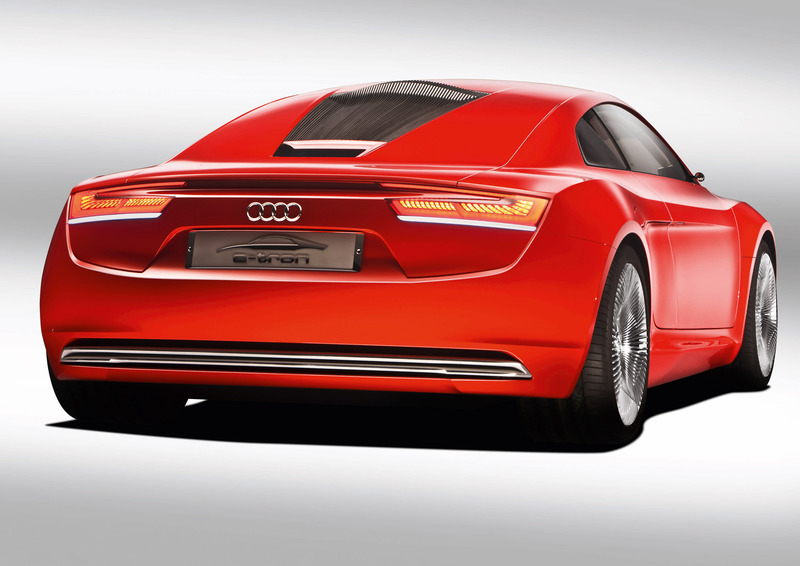 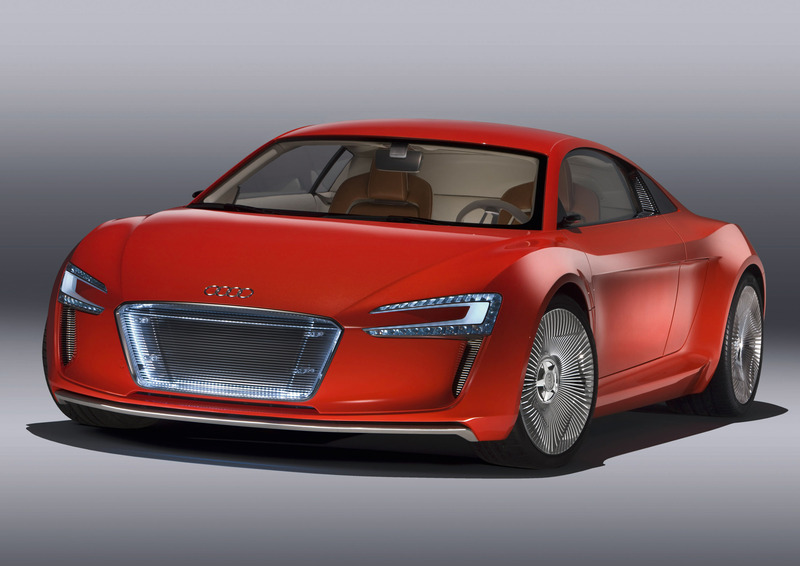 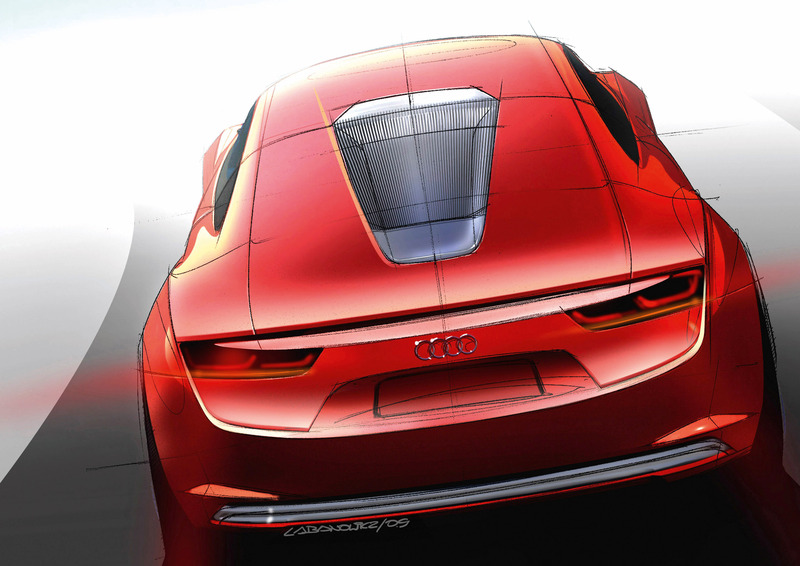 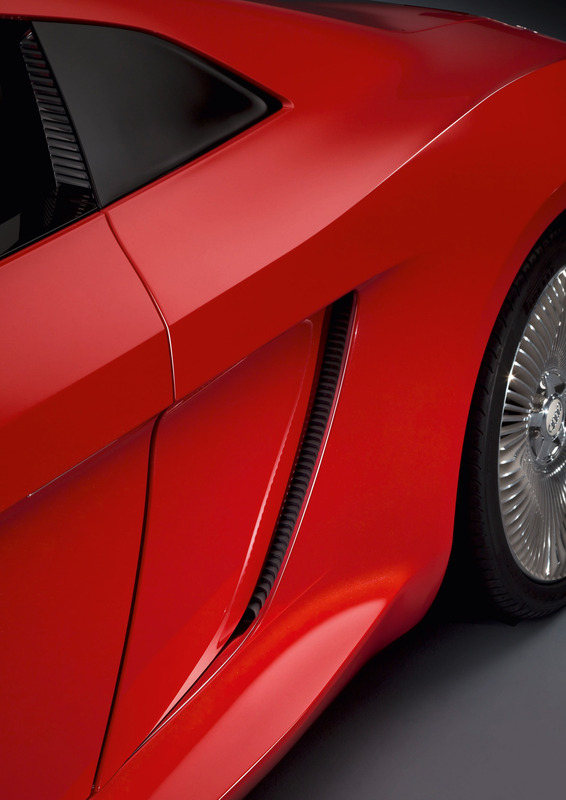 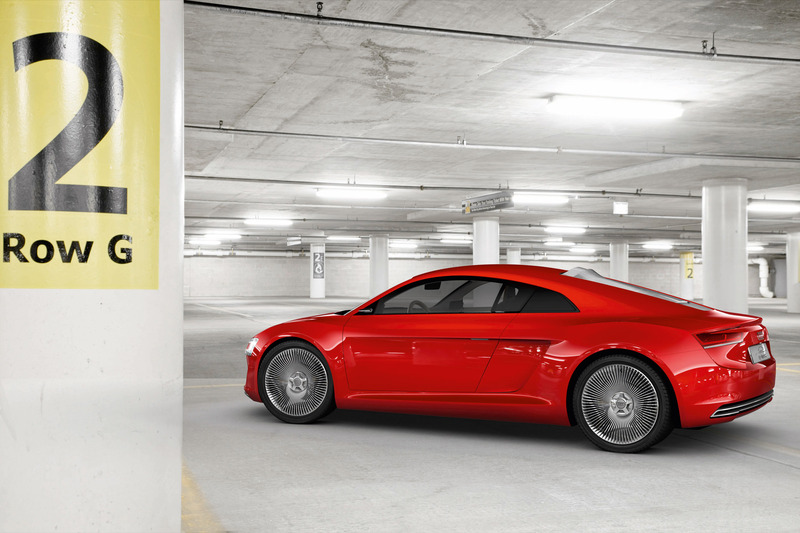 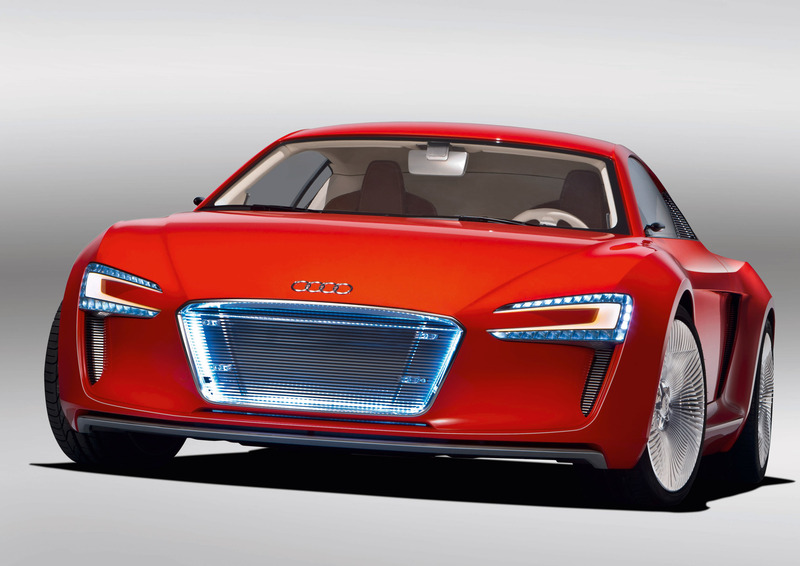 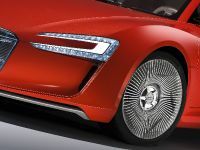 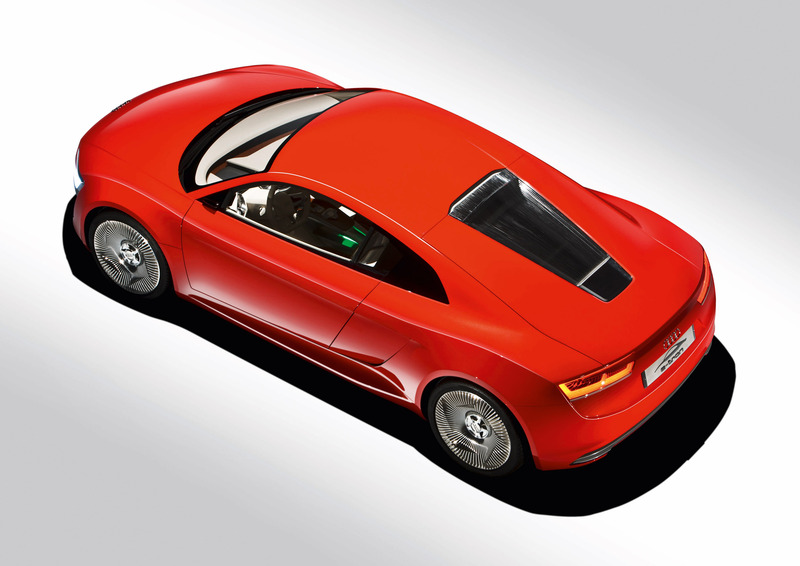 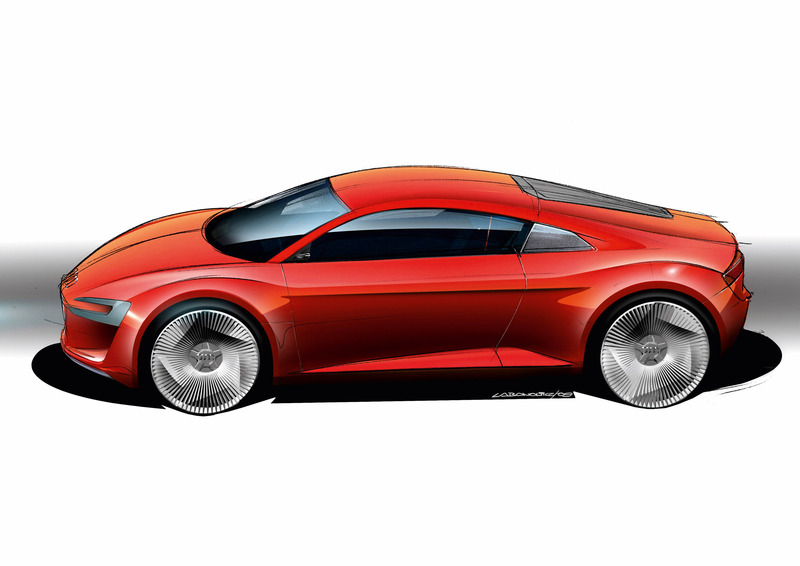 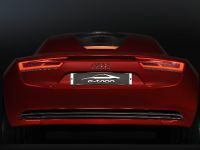 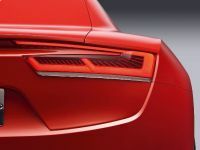 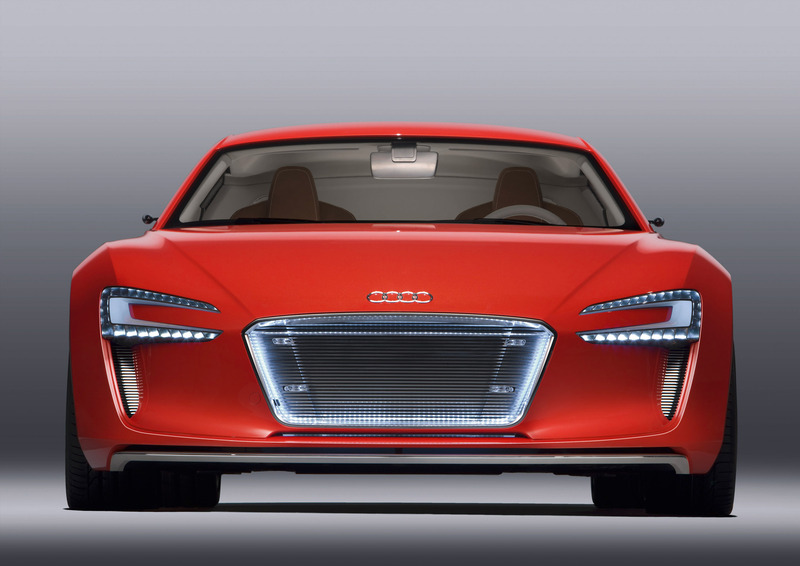 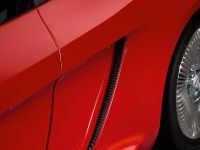 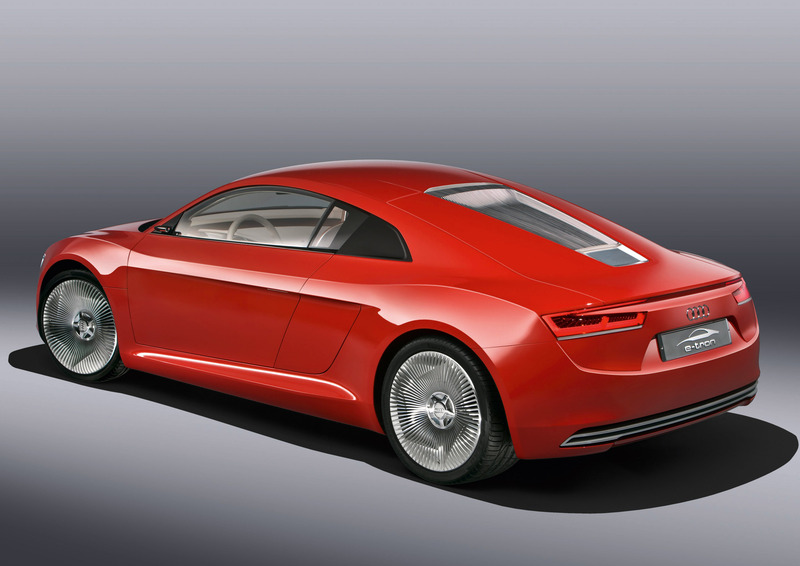 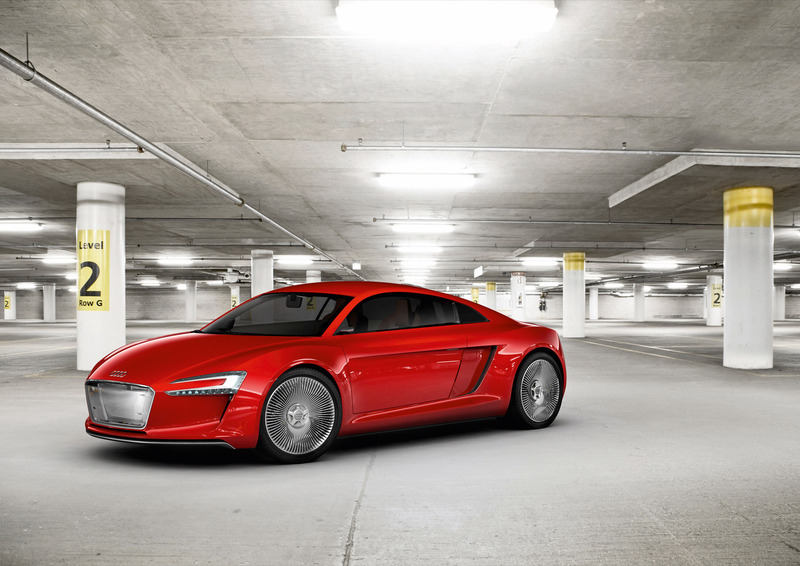 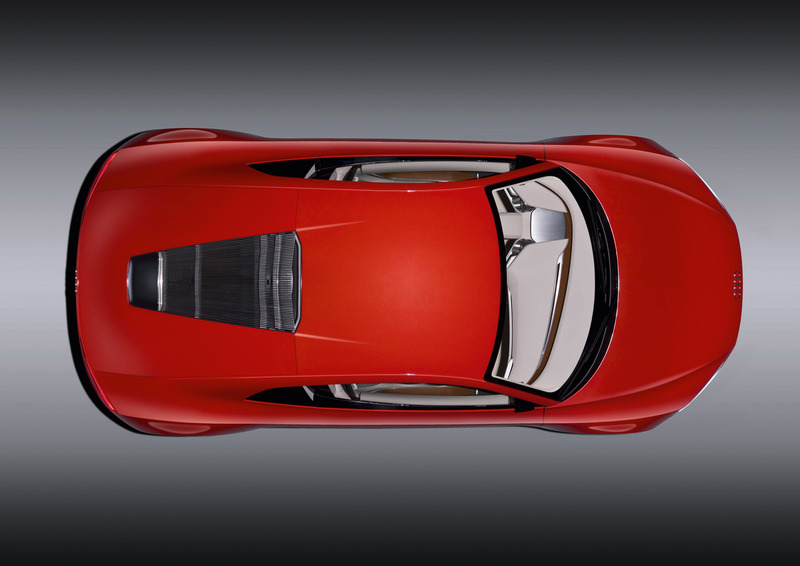 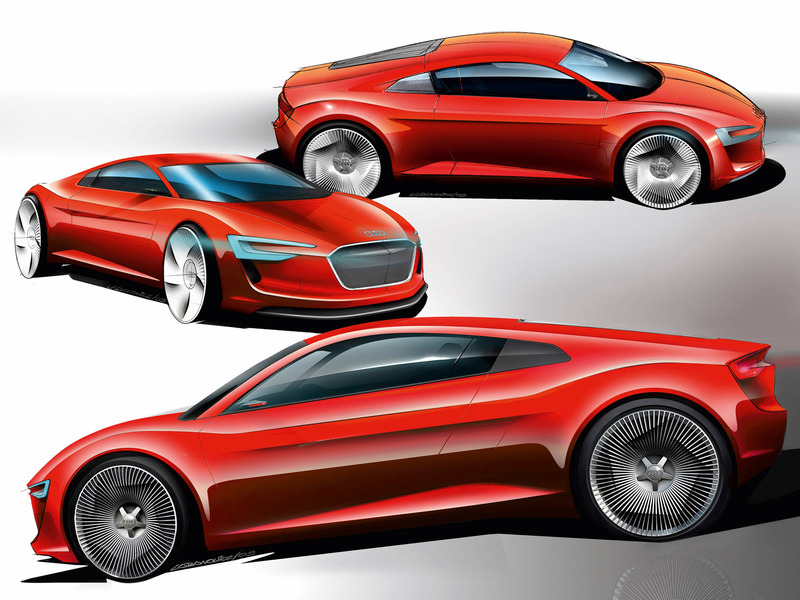 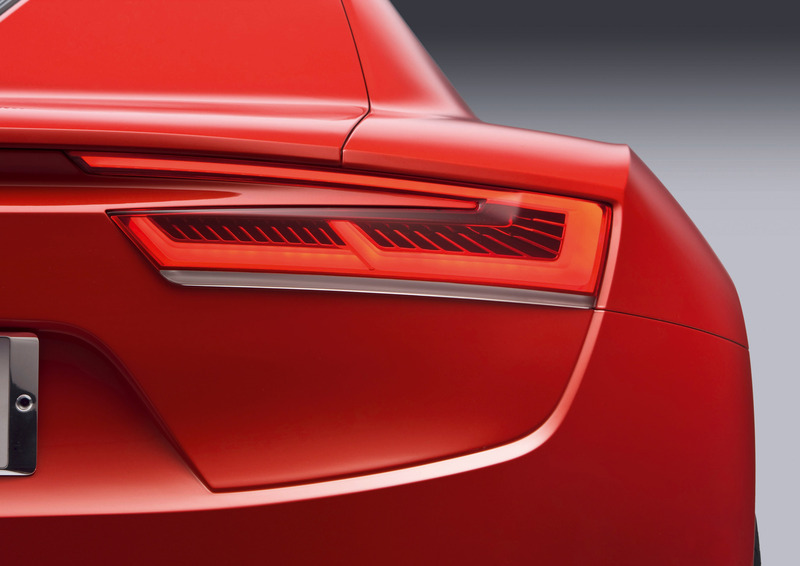 Four motors – two each at the front and rear axles – drive the wheels, making the concept car a true quattro. 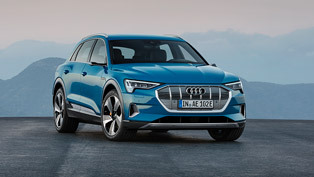 Producing 230 kW (313 hp) and 4,500 Nm (3,319.03 lb-ft) of torque, the two-seater accelerates from 0 to 100 km/h (0 – 62.14 mph) in 4.8 seconds, and from 60 to 120 km/h (37.28 – 74.56 mph) in 4.1 seconds. 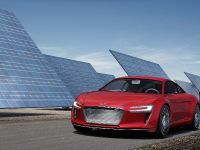 The lithium-ion battery provides a truly useable energy content of 42.4 kilowatt hours to enable a range of approximately 248 kilometers. 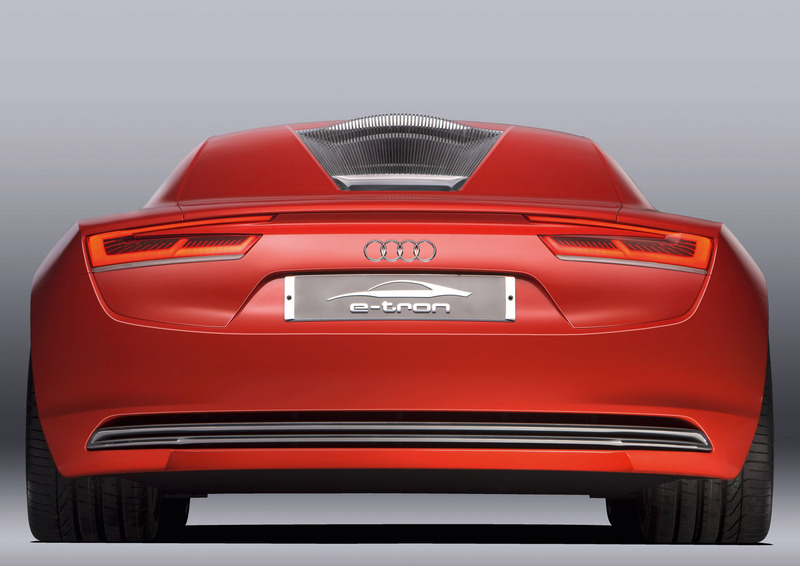 - The reduction of road resistances and the resulting increase in range plays a major role with electric vehicles. 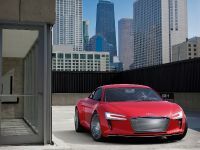 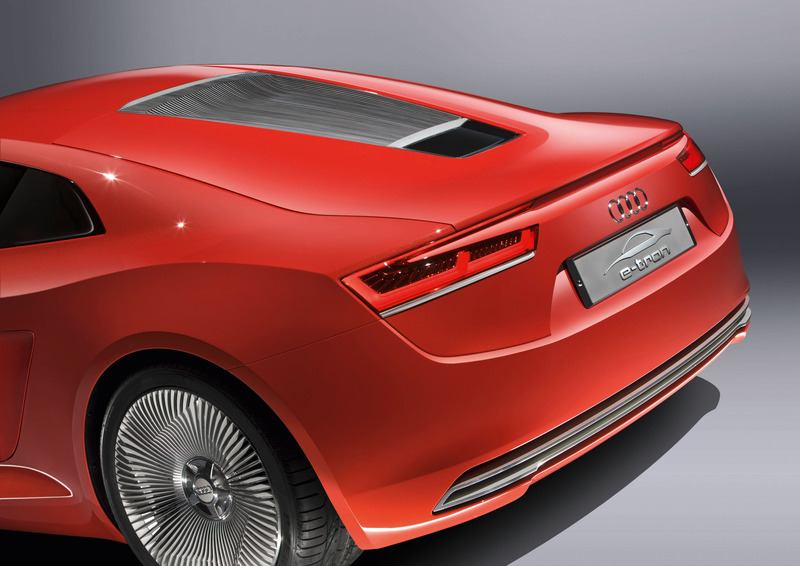 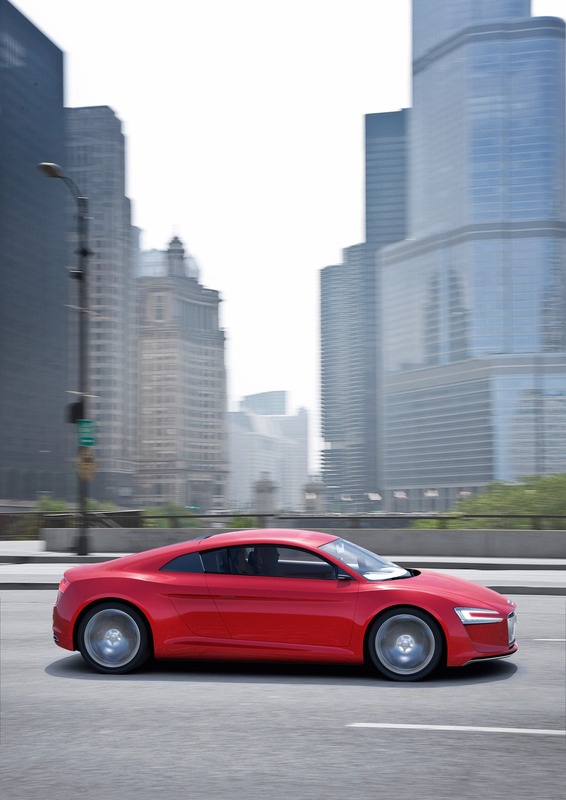 Lightweight construction was therefore a top priority for the e-tron concept car. 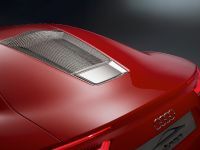 The body, in particular, combines low weight with supreme strength and rigidity. 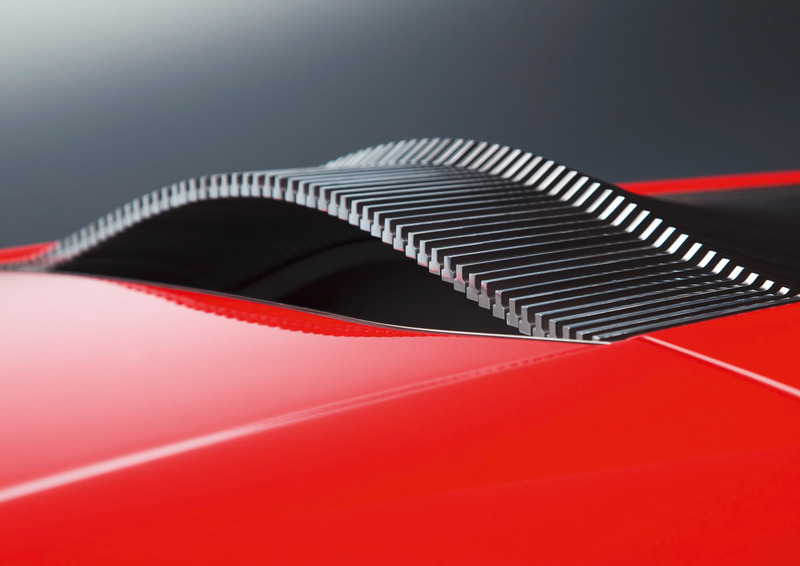 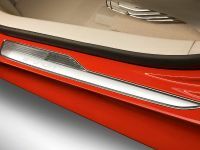 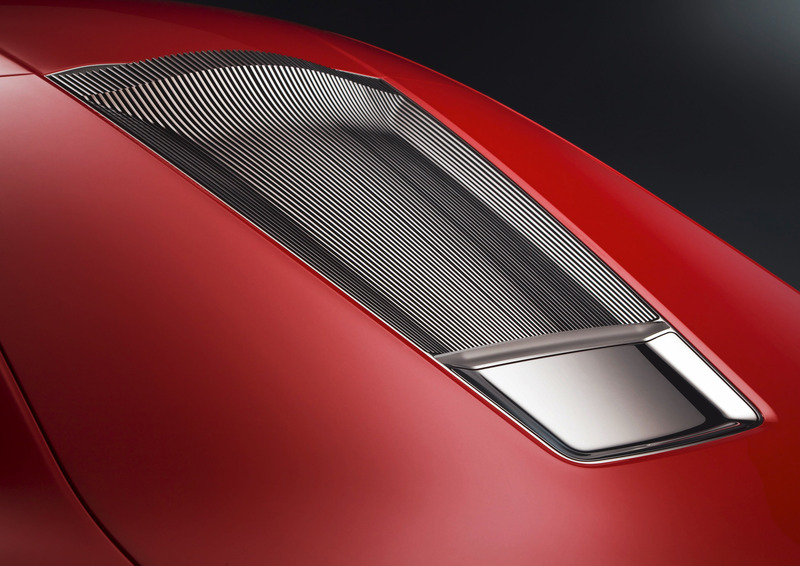 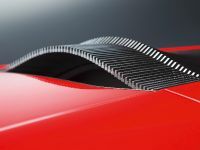 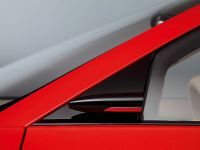 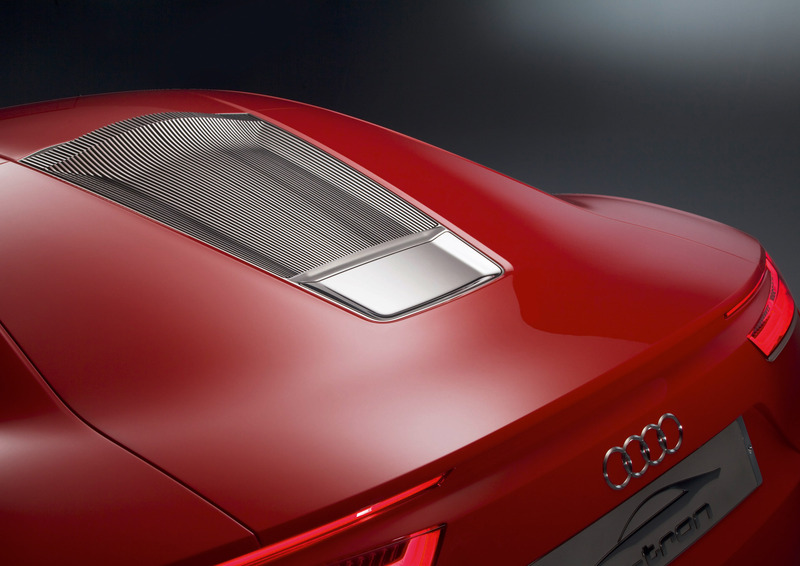 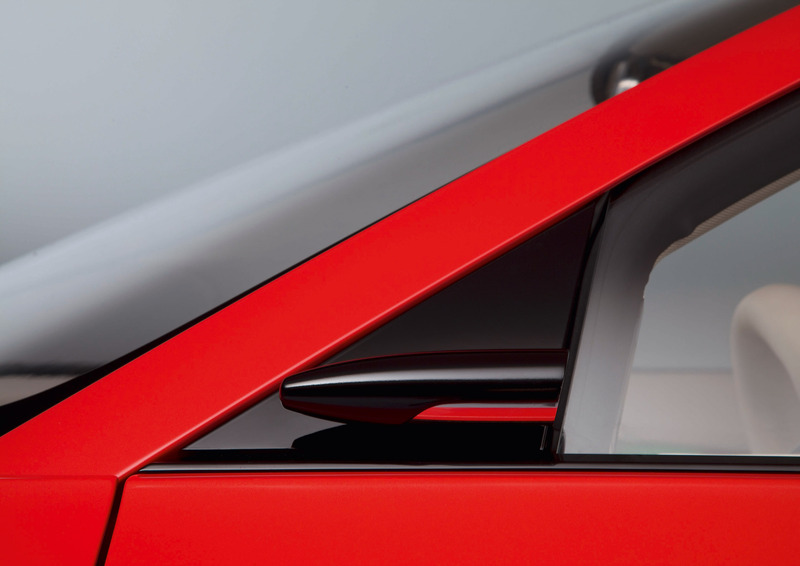 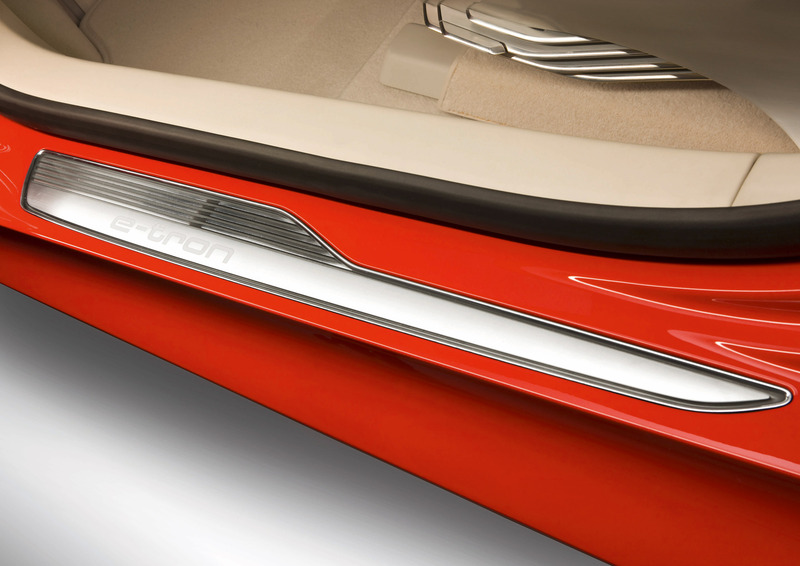 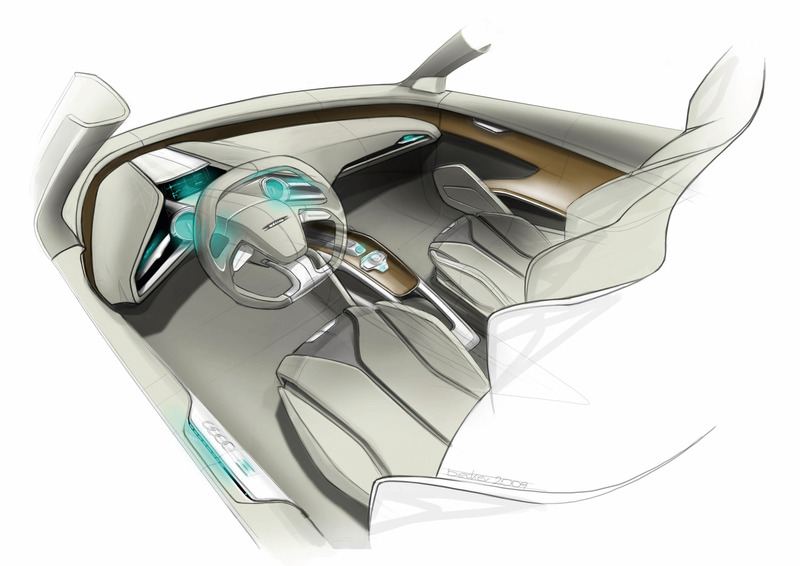 An intelligent aerodynamics concept with active elements helps to reduce consumption. 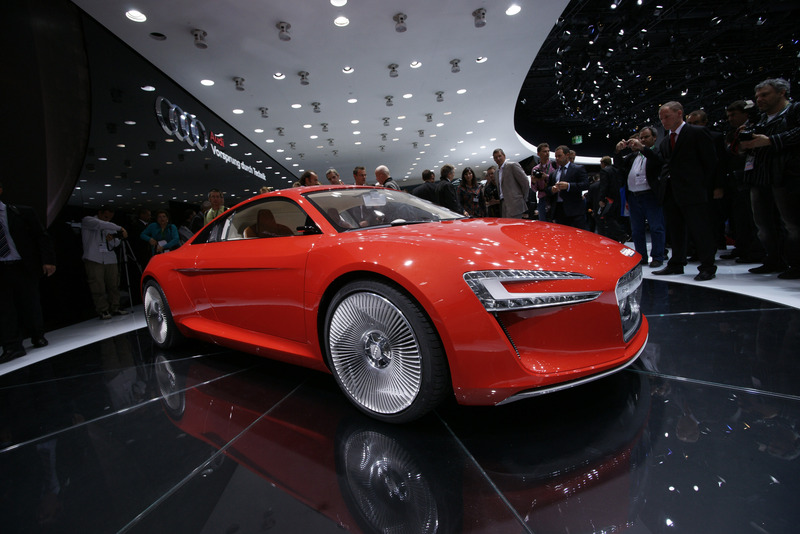 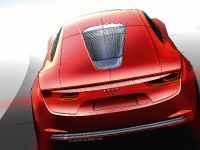 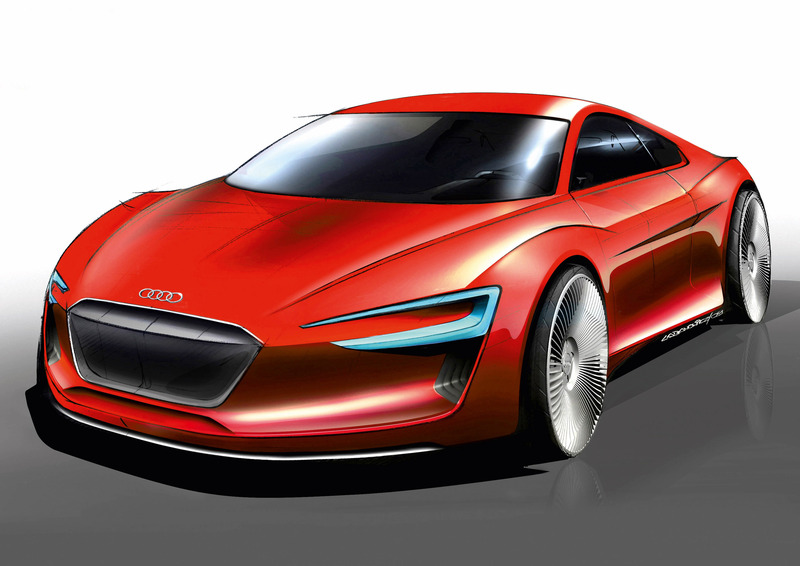 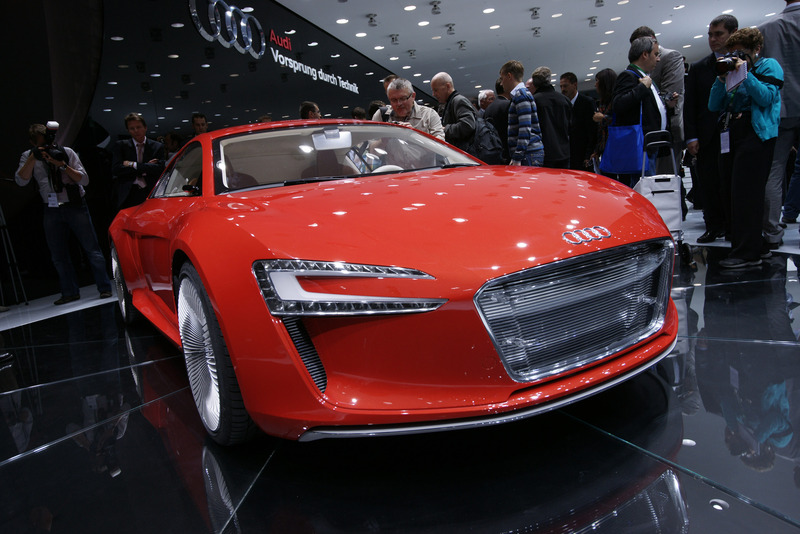 The e-tron concept car uses car-to-x communication technology developed by Audi to improve the efficiency of conventionally powered vehicles. 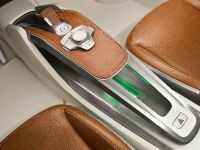 For example, information about traffic light cycle times and the flow of traffic – provided by the infrastructure and other vehicles – is used to compute an optimal driving strategy. 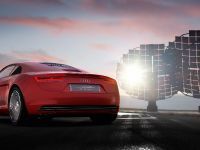 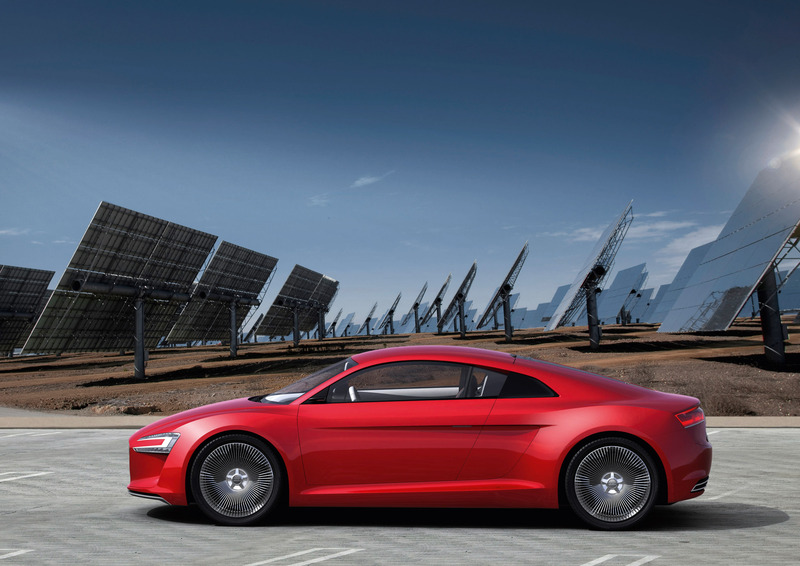 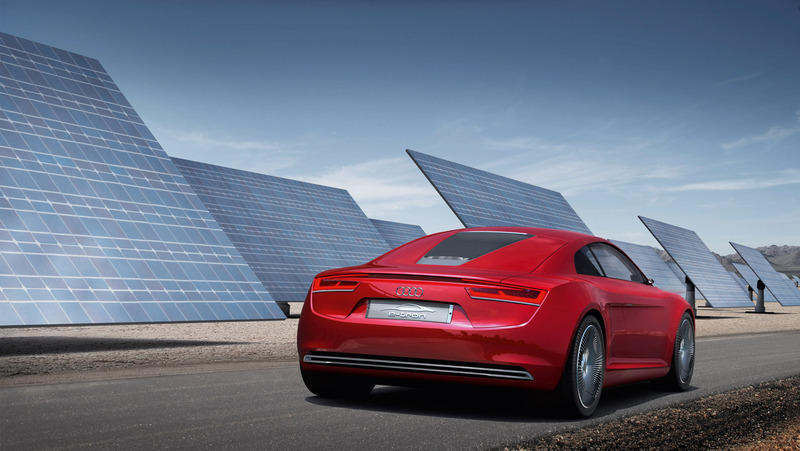 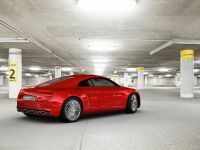 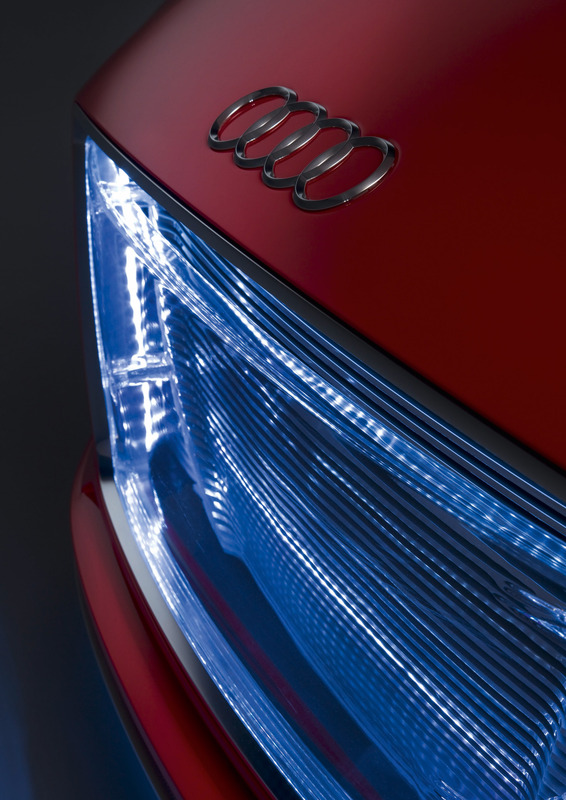 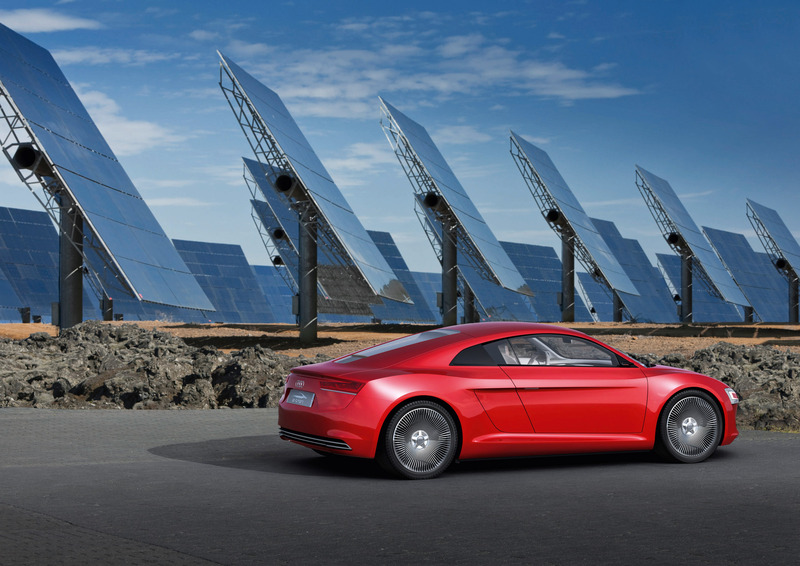 Audi has already modeled such a solution in Ingolstadt as part of its "travolution" project. 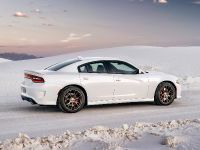 Example 2 – Safety: A vehicle has spun out on a slippery road in a blind curve and is unable to free itself under its own power. 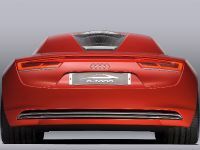 At the same time, other vehicles are approaching quickly. 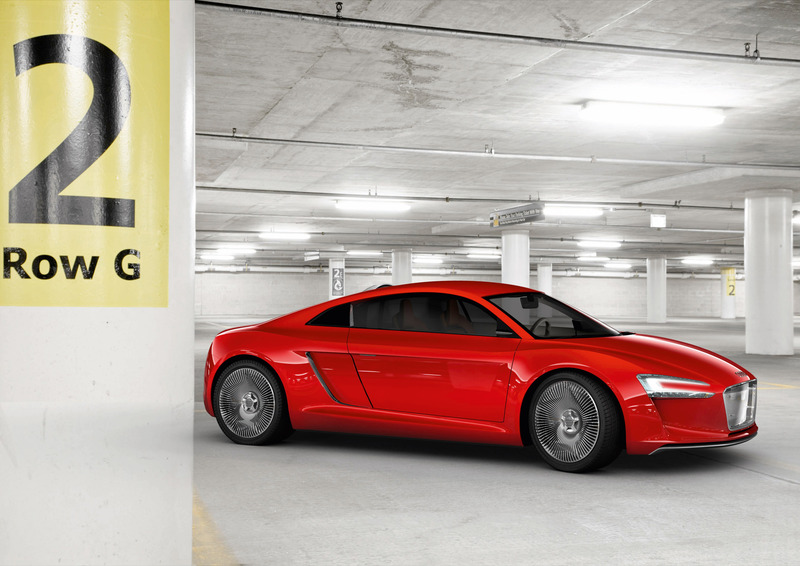 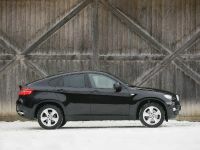 The stuck vehicle uses car-to-x to send out a warning signal reporting the precise location of the hazardous location. 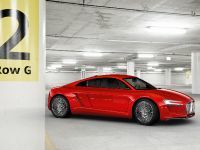 A corresponding warning then appears on the navigation system display of the approaching cars. 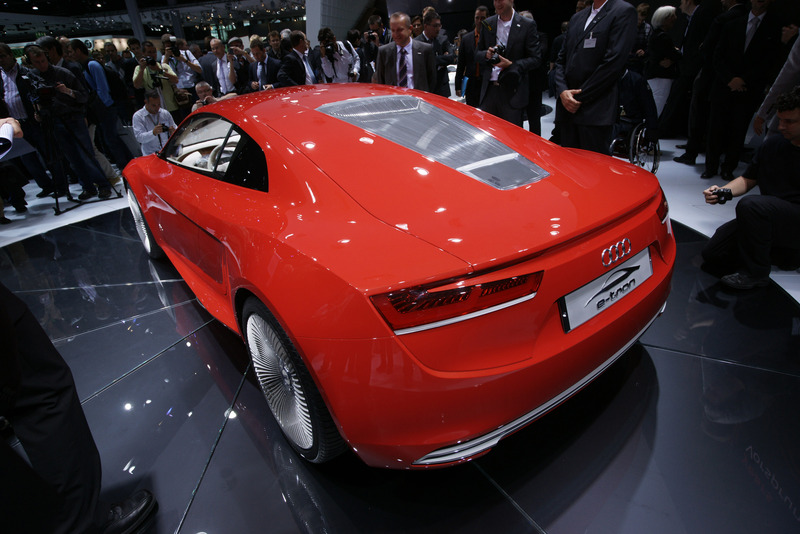 Example 3 – Traffic flow: Many cars are traveling between traffic lights on an arterial road. 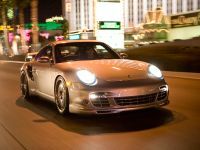 Over and over again, they accelerate only to have to brake again when the traffic light changes to red. 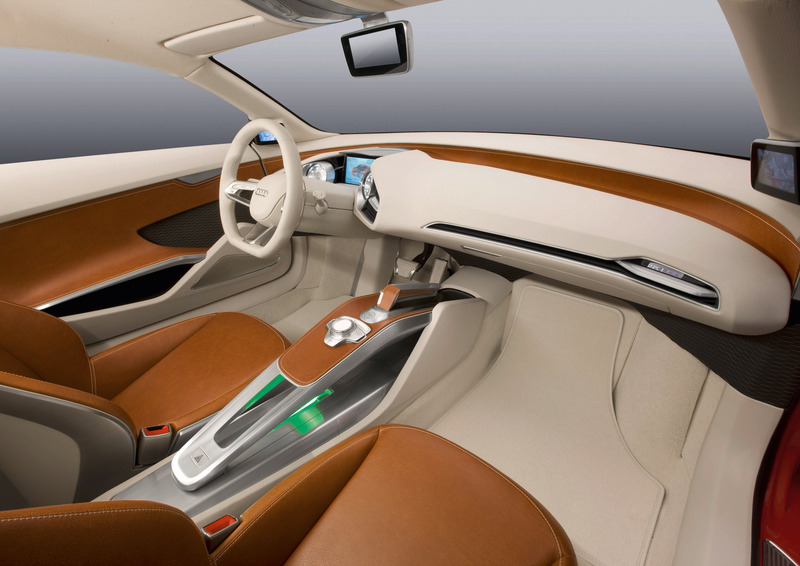 Car-to-x technology enables them to establish a network between themselves and receive information from the traffic light controller. 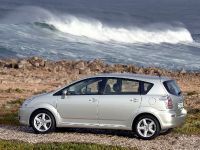 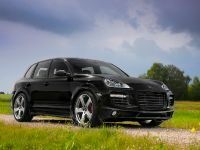 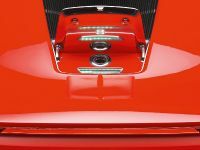 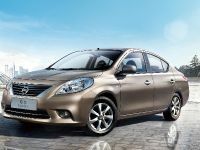 The drivers can then make more judicious use of the gas pedal because they know what to expect. 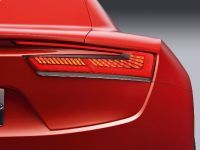 The same applies for imminent traffic jams: cars ahead provide information that results in adjustments to the posted speed limits, noticeably spreading out the traffic.